I HAVE THE BOOK IN MY HANDS IT’S A REAL THING! In late February 2016 I finally convinced my editors at Allen & Unwin that I should absolutely write a follow up to The Short and Excruciatingly Embarrassing Reign of Captain Abbott, on the grounds that a) things were clearly getting very interesting and weird in federal Australian politics, and b) this seemed like a lot more fun than the book I was actually working on. There ain’t no feeling like here’s-that-book-you-wrote feeling. “More fun” is, of course, a relative term because – at the risk of ruining the tantalising romance of writing – trying to research and write a book on politics, as it’s happening, while also holding down a five day a week column is whatever the opposite of “fun” is. 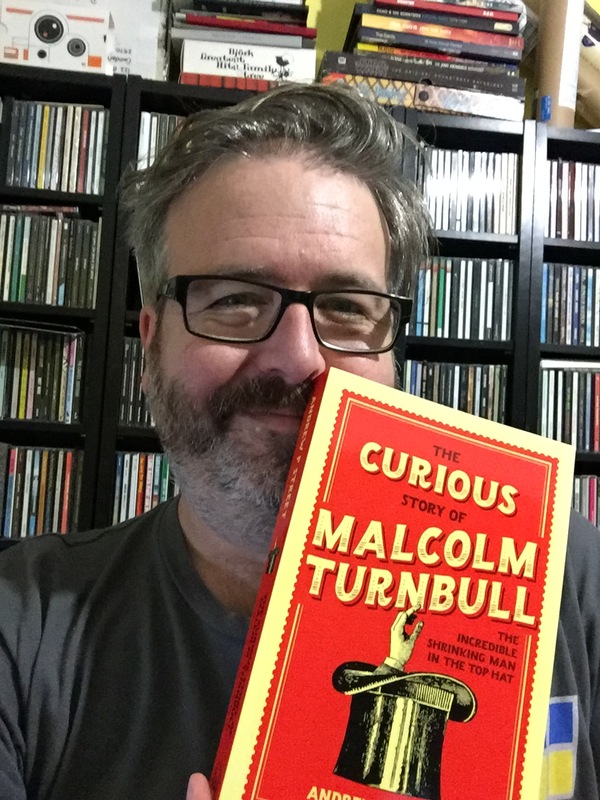 Yes, it was a close run thing since The Curious Story of Malcolm Turnbull: the Incredible Shrinking Man in the Top Hat goes onto shelves on Monday, but now I have my own copy and feel genuinely relieved that I don’t have to photocopy a bunch of them for the launch. Which, incidentally, is WEDNESDAY 28 SEPTEMBER at Newtown’s Better Read Than Dead – it’s free, but you’ll need to register here and I’ll be signing whatever anyone wants me to sign: my books, other people’s books, small animals, slow moving vehicles, whatever. Please note that there will also be wine. Said launch will be hosted by my friend and fellow Double Disillusionist Dom Knight – and, speaking of the podcast, we did a new one just the other day with the amazing, entertaining and wonderfully gossipy Alice Workman, BuzzFeed’s Canberra-based politics wrangler. I really hope you enjoy the book. I’m genuinely proud of it. Hopefully see you at some book-related thing soon, friends. PS: Why not read a little excerpt from the book all about the plebiscite? This entry was posted in Announcement and tagged australian politics, book, Captain Abbott, malcolm turnbull by Tyrannicon. Bookmark the permalink.